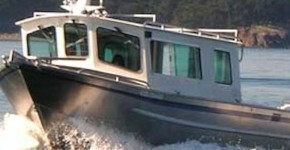 Island Water Taxi is an essential service provider to major corporations such as BC Ferries, BC Hydro, Capital Regional District, Islands Trust, and Sea Span Inc. We provide regular scheduled inspection services as well as 24/7 emergency transportation and safety support vessel services throughout the Southern Gulf Islands. Transportation and support vessel on routine terminal & dock facilities inspections with BC Ferries personnel and private sector contractors. 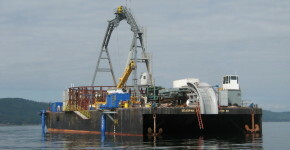 Support vessel and works platform on various stages of dock and terminal construction refit & repair projects. 24/7 Emergency response for Ferries personnel, crews and equipment as well as foot passenger transportation shuttles in the event of mechanical breakdowns at terminals and on board vessels. Priority services to general contractors : FRPD (Fraser River Pile Driving), Vancouver Pile Driving, and Ruskin Pile Driving during emergency situations and regularly scheduled work. Transportation and safety support vessel for transmission line servicing, repairs and replacement. Working tender and safety platform for commercial diving diving projects including severed submarine cable repairs, removal and replacement of complete sub-stations. Emergency repairs tender for cable repairs. Safety and monitoring platform for helicopter teams and safety officers, providing vital communication links to local marine traffic and aircraft in the area. Transport for meter department crews for distribution, repairs, and management of electricity to many of the areas smaller private islands. Planned response time and transport in emergency situations to get crews and equipment to trouble areas and home again safely in response to water management challenges. Transport for this local governing body overseeing a vast number of Islands at times not serviced by BC Ferries. Annual tour of many small private island for Island Trust representatives to get hands-on experience meeting owners and seeing the properties they govern. Working with large deep sea tugs providing crew transfers, provisioning for vessels at tow and in transit of local water.